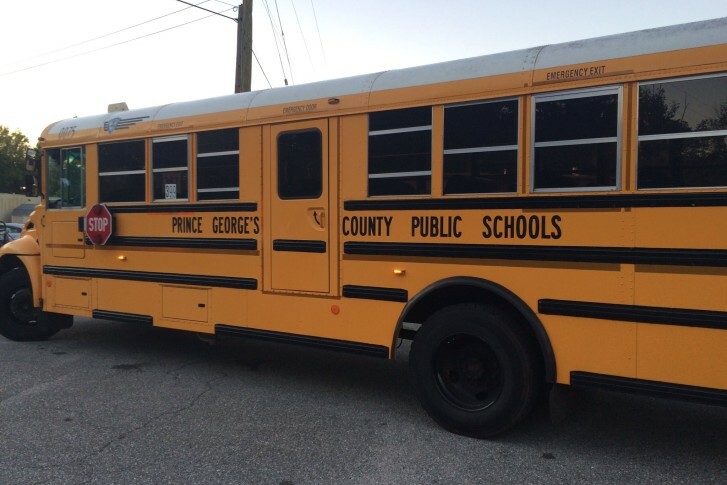 Prince George's County Public Schools students will be let out two hours early Wednesday due to the expected high temperatures, a day after the school year just kicked off Tuesday. WASHINGTON — September’s steamy start sizzles on in the D.C. region, with one local school system announcing an early dismissal Wednesday. Prince George’s County Public Schools students will be let out two hours early Wednesday due to the expected high temperatures, a day after the school year just kicked off. “To date, there have been isolated incidents in various classrooms, but we have kept overall conditions under control,” Monica Goldson, interim county schools CEO, said in an email to parents and guardians Tuesday night. About 40 of 208 schools in the system are experiencing air-conditioning issues, but all schools will be dismissed early due to transportation logistics. 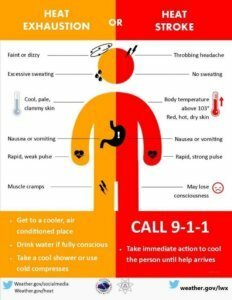 The heat index is expected to be near 100 or higher again Wednesday, with temperatures in the mid 90s, but feeling near 100 to 105. Expect a hazy, hot and steamy day, said Storm Team 4 meteorologist Steve Prinzivalli. After school and evening activities are canceled Wednesday, Prince George’s County Public Schools announced on its website. Two schools will be closed for air conditioning repairs: Riverdale Elementary School in Riverdale and Margaret Brent Regional School in New Carrollton. Wednesday is part of a week of unseasonably high temperatures. Tuesday saw record-tying temperatures at Reagan National Airport: It hit 95 degrees, which ties with the record high from 2008, according to the National Weather Service. Dulles International Airport hit 94 degrees, still under the 95-degree record made in 1985. BWI Marshall Airport also saw 94-degree temperatures, which was just under the record of 96 degrees from 1937, the weather service said. A number of schools in Baltimore city were dismissed a few hours early Tuesday because they did not have air-conditioning or had inadequate cooling. Schools in Baltimore County without any air-conditioning were closed Tuesday and will still be closed Wednesday. The weather service also issued a heat advisory for parts of the D.C. area Tuesday, and on Labor Day, the D.C. government activated its heat emergency plan. “The culprit for the unseasonably steamy weather is a large bubble of high pressure in the upper atmosphere parked over the mid-Atlantic,” Prinzivalli said. Humid conditions will roll into Thursday, but late storms could also move in by then, with storm chances higher on Friday. Temperatures could be cooler then, with highs in the upper 80s. The weekend is expected to be “pretty cloudy and unsettled,” with scattered showers and storms, Prinzivalli said. “Our hot stretch will last through Thursday with highs in the 90s and a southwest wind continuing to bring in high humidity, making it feel around 100 every afternoon,” said Storm Team 4 meteorologist Sheena Parveen. Wednesday: Hot and steamy; partly cloudy with the risk of isolated storms. Highs: Mid 90s. Heat index: 100 to 105. Thursday: Mostly to partly sunny, hot and muggy, with the chance of late-day storms, mainly north and west. Highs: Low to mid 90s. Heat index: 100 to 105. Friday: Mostly cloudy with the chance of showers and storms. Highs: Upper 80s. WTOP’s Alejandro Alvarez, Zeke Hartner and Teta Alim contributed to this report.